Recently this has led some blacksmiths in Australia to begin testing the benefits of using copper nails to shoe horses. Brian Hampson, PhD of Sunshine Coast Podiatry Services and John Wilson set out to see if using copper nails to shoe horses could cut down on the type of bacterial infections that can be common in the nail holes of horses' feet. 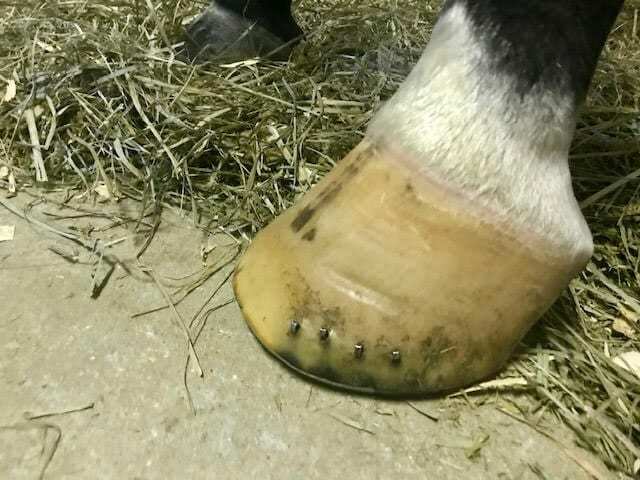 This entry was posted in Horse Care and tagged copper, copper-coated nails, farrier, HOOF, hoof health, Practical Horseman, research, study by Paulick Report Staff. Bookmark the permalink.